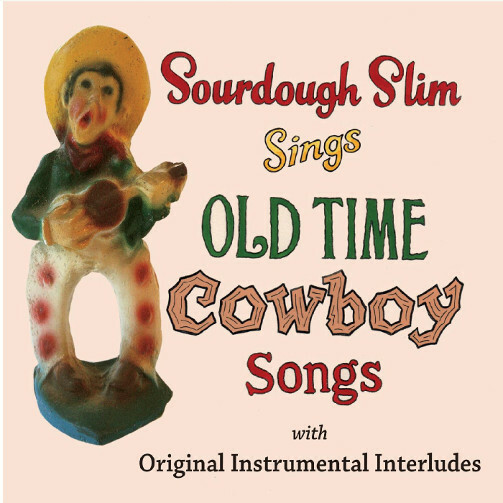 "Last Of The Vaudeville Cowboys"
Presenting "Sourdough's Wild & Woolly Revue"
tongue-in-cheek, cowboy-dressed entertainer deluxe. Catchy, uplifting, irresistible, jolly fun." Cowboy Gatherings across the country. One year in the making and worth every minute! "Whoop It Up!" and "Best Western"
"Like the forgotten vaudeville entertainers, Slim brings a high-level of showmanship to the proceedings. . . . all of this is Slim's interpretation of a colorful era, but it takes a mastermind to pull all this together and wrap it up in a coherent, if not immensely enjoyable, presentation." 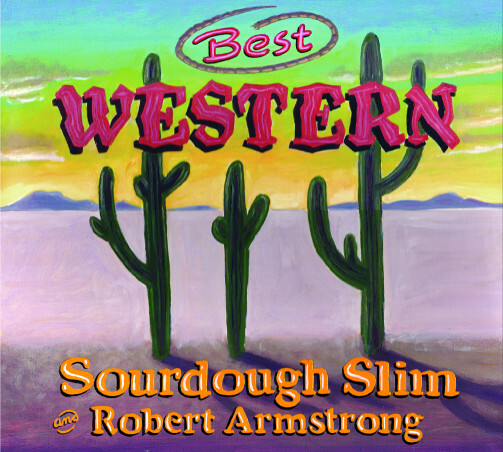 "There's no one else out there like Sourdough Slim. Catchy, uplifting, irresistible, jolly fun." "You won't believe your ears!" 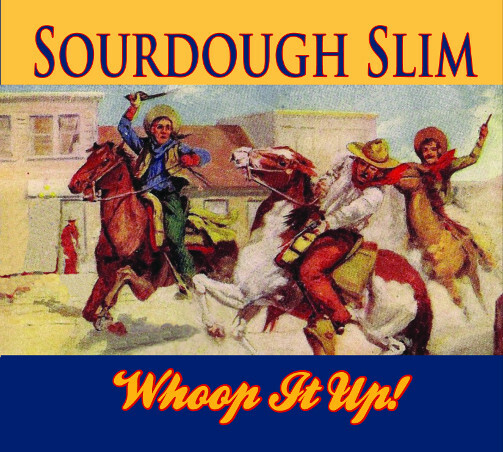 "Sourdough Slim is larger than life!" 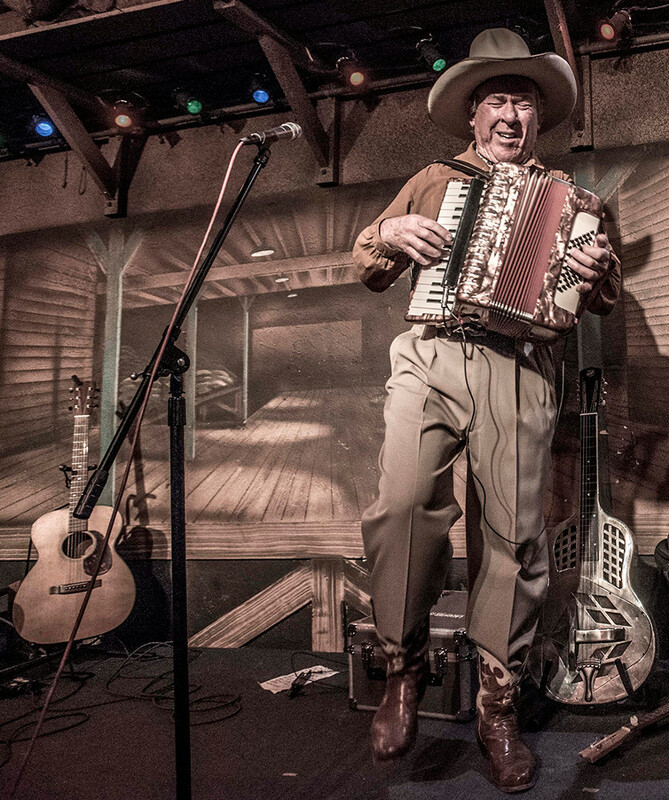 "A master showman and one of the finest musicians I know." Sourdough Slim & Robert Armstrong play DeLapp guitars exclusively.